Your business depends on nurturing connections and relationships through a variety of tools and techniques that include social media, branding, public relations, and marketing. Live Chat is a service that opens the doors for potential clients and delivers personalized support to your existing client base. 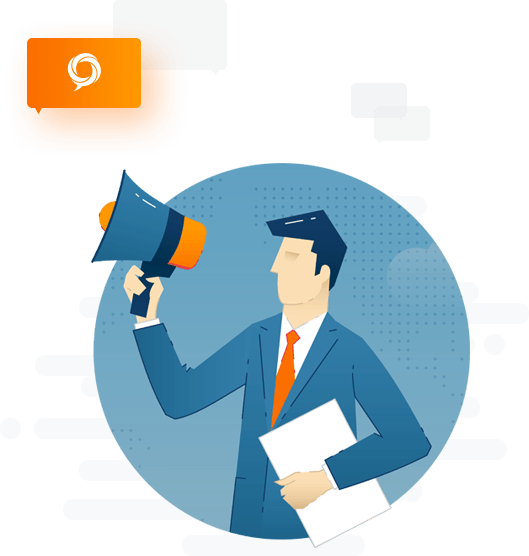 When your marketing team is busy, HelpSquad gives you experienced, professional Live Chat support that extends your brand as if your leads were speaking with your own sales staff. In marketing, branding, and media services, start-ups and agencies compete for similar clientele. Outsourcing your website Live Chat services makes sense instead of building an in-house customer support team. Trained personally on your business services and practices, HelpSquad is an affordable, US-based service that ensures visitors to your website have a positive experience — 24 hours a day. Using a full-featured but easy-to-use Chat and ticketing platform, HelpSquad lets you compete with agencies and branding businesses of all size and resources. Stay in the game by offering the best-in-class customer service and sales support delivered by HelpSquad specialists. News travels fast—when you are looking for premium client support that is scalable and cost-efficient, talk to us at HelpSquad. We deliver the message.